Congo’s President Is Preparing for War Against His Own People /Foreign Policy | Démocratie Chrétienne, D.C.
Joseph Kabila isn’t preparing for new elections to pick a successor. He’s steeling himself for massive popular unrest by stocking up on riot gear and water cannons. KINSHASA, Congo — In a calm corner of this typically chaotic capital city, the expressionless face of President Joseph Kabila stares down from a billboard urging patience and dialogue. “I launch a final appeal to those who still hesitate to respond to the resounding call of their homeland,” the sign reads in a veiled reference to the country’s dangerous electoral impasse. It might as well be the motto of Kabila’s government, which is widely suspected of delaying electoral preparations as part of an evolving ploy to remain in power. But judging by the government’s own actions, which have grown increasingly paranoid and heavy-handed in recent months, the motto hasn’t resonated much with the Congolese people. A former Belgian colony the size of Western Europe, the Democratic Republic of the Congo has never in its history had a peaceful transition of power. The country’s constitution, which was drafted in the wake of a bloody wave of wars between 1996 and 2003, calls for presidential elections in November — and bars Kabila, who has already served two full terms in office, from standing as a candidate. But while nominally preserving the appearance that they are getting ready for the election, the president and his allies in government seem to be preparing for something else entirely: the massive political unrest that could erupt in the wake of a delayed or stolen vote. Instead of listening, Kabila and his team have doubled down on their dangerous game of electoral delay, or glissement, as the Congolese people call it, using the French world for “slippage.” They insist that elections can’t happen in November because of logistical and budgetary constraints; the voter registration rolls, for example, haven’t been updated since 2011, meaning that an estimated 7 million new young voters would be excluded while millions of dead people would remain eligible. But the political opposition says these claims are just a fig leaf for stalling preparations, delaying elections, and clinging to power. The people of Congo want Kabila gone. That’s why we will demonstrate. Kabila’s bid to delay the election comes at the same time as a growing number of leaders in the region have altered or ignored constitutional term limits in order to remain in power. 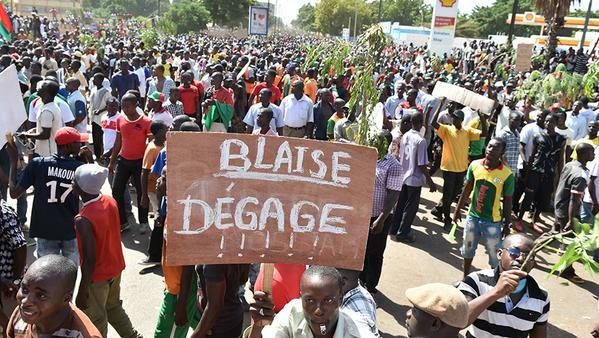 Last year, the presidents of Rwanda and the Republic of Congo both orchestrated changes to their constitutions to enable them to run for third terms; in Burkina Faso and Burundi, violent protests broke out after the presidents of those countries tried the same. Some Kabila allies have floated the possibility of a constitutional referendum in Congo, but the president himself has stayed silent on exactly when elections will happen. 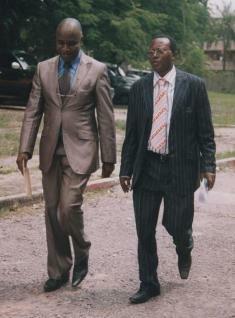 In the meantime, there are worrying signs that Kabila and his associates are readying themselves for a street fight. The government recently imported new surveillance cameras from China, as well as drones, anti-riot gear, water cannons, and tear gas from unnamed parties. It claims that the new equipment will help it safely and nonviolently disperse protests, but Congo’s security forces are not known for their restraint. In January, for instance, protests against a draft election law requiring a new census before presidential elections are held — an endeavor that would take years in a massive, infrastructure-poor country like Congo — provoked a violent crackdown in which more than 40 people were killed. 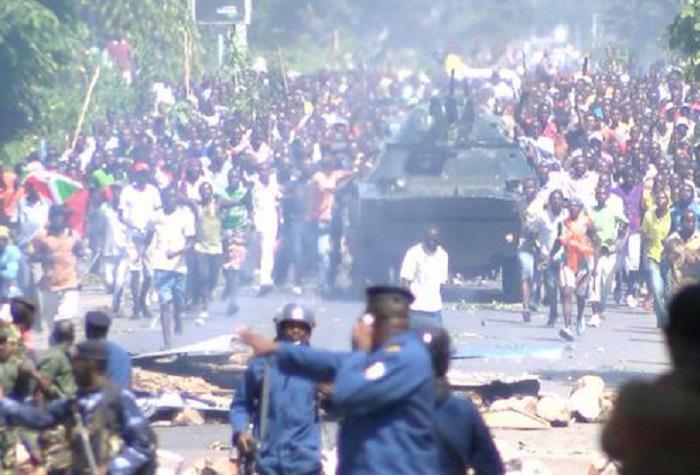 Hans Hoebeke, a researcher at the International Crisis Group focusing on Congo, described the newly acquired crowd-control arsenal as part of a larger attempt “to keep the senior levels of the army on the side of regime” in the event of popular unrest. He cited gifts of expensive new cars to top commanders as another facet of this strategy. 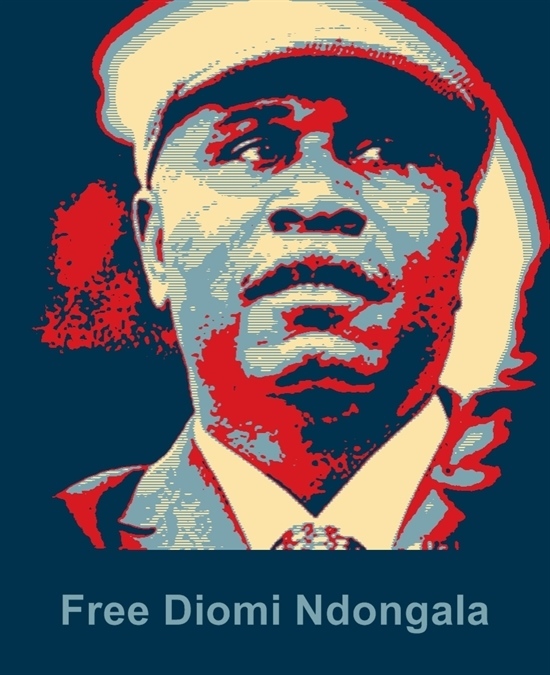 Meanwhile, the government has moved aggressively to silence its critics over the last year, arresting Congolese activists and civil society leaders on dubious charges. It has also denied visas to multiple foreign journalists, expelled noted Congo researcher Jason Stearns after he published a report linking the army to civilian massacres, and revoked the work permit of Ida Sawyer, a researcher for Human Rights Watch who has lived in Congo since 2008. Kabila and his allies simply have too much to lose. They have amassed millions of dollars from mining, trading, and other business ventures — licit and illicit — that critics say are made possible by corruption at all levels of government. Those who have prospered under Kabila may fear prosecution once he’s gone. “We have the constitution, which is covering everything, so I don’t think people will take to the streets because of the articles of the constitution,” Kukatula Falash said. Leonnie Kandolo, a civil society and women’s rights activist in Kinshasa, reads her copy of the constitution — which she always carries in her purse — very differently. She said it’s clear that the Congolese people want Kabila to go, but one question looms darkly: “If people stand up and say no [to election delays], how are you [the government] going to stop those people?” Kandolo asked, shaking her hands exasperatedly. The answer, she feared, was force. Kandolo was part of a monitoring team for the 2006 presidential election, the country’s first after the war. Kabila, who had been in power since the death of his father, President Laurent Kabila, in 2001, won with 58 percent of the vote. But it was the 2011 vote that shattered Kandolo’s faith in Congo’s political system. In a disputed election that was denounced as flawed by international observers, Kabila narrowly beat out longtime opposition leader Étienne Tshisekedi, who nonetheless declared himself the winner. Demonstrations and repression followed, and more than 20 people were killed, according to Human Rights Watch. Many fear that electoral delays could precipitate something far worse in the coming months. In July, U.N. Secretary-General Ban Ki-moon warned in a report to the Security Council that the U.N. peacekeeping mission in Congo was developing contingency plans because the election impasse could “degenerate into a severe crisis, with a high risk of relapse into violence and instability.” Another report released in June by the Inter-Agency Standing Committee, a group of U.N. and non-U.N. humanitarian partners, put Congo at the top of a list of worldwide risks to watch. In addition to delaying the vote, the government is “likely to limit or shut down mobile networks, restrict the opposition’s rights through legal or violent means and increase intimidation and harassment,” the report said. 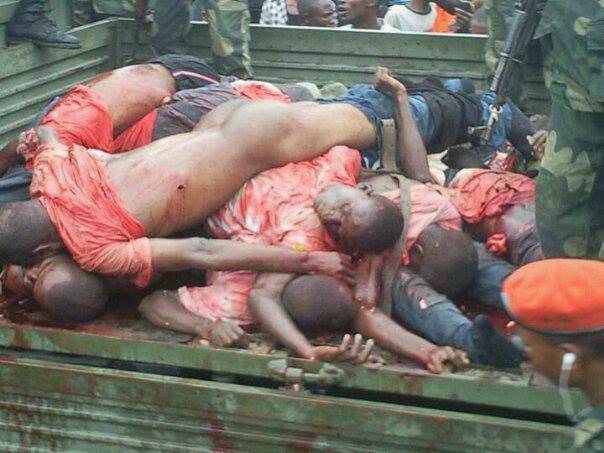 Reports like these make Kabila’s calls for dialogue ring hollow to many Congolese. 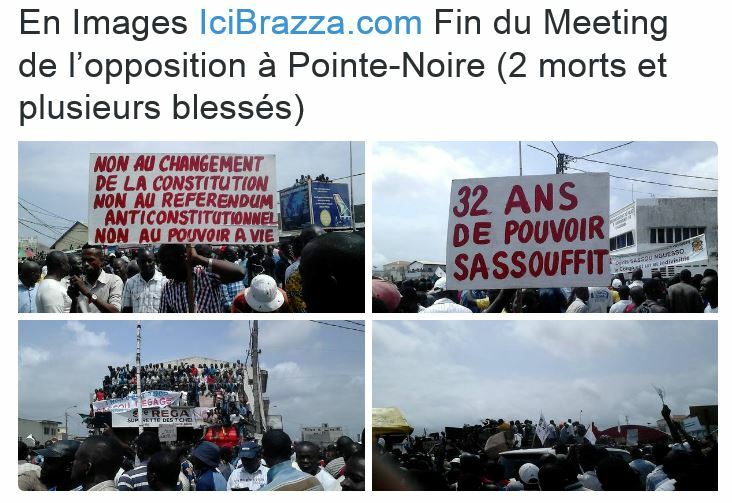 But others are just as frustrated with the fragmented opposition, the majority of which has boycotted Kabila’s dialogues and called for its own. Part of the problem is that the “leaders of both sides see delaying elections as in their interest,” Stearns said. Although the government clearly benefits from the delay because it gets to remain in power, the opposition benefits as well — since it has a clear issue around which to mobilize its supporters. Still others are frustrated with the international community, which many Congolese see as disinterested in Kabila’s efforts to subvert democracy. The U.S. government has been vocally critical of rising repression, including imposing sanctions on Kinshasa’s police chief for “violence against civilians.” But it and other Western powers have stopped short of sanctioning Kabila and his allies over glissement. 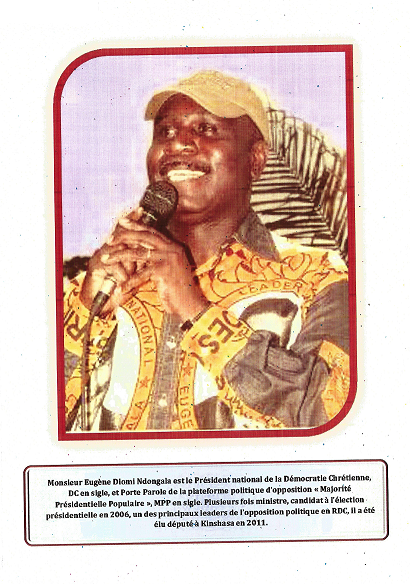 Mr Joseph Kabila must go the day of his term. I really appreciated your comments and analysis you made. We have to motivate all people to be ready by applying the article 64 of our constitution which will allow us to take him out the power.